What it Means to be Backed By Berman. 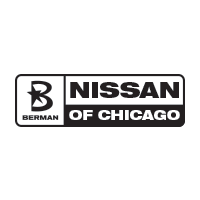 As a premiere car dealer in Chicago, Berman Nissan of Chicago, formerly Mid City Nissan, has been proudly serving the Chicago, Schaumburg, Melrose Park, Skokie, Niles, and Evanston area since we first opened our doors in 1987. Our award-winning team, which include Spanish, Polish, Bosnian, and Korean speakers, is completely dedicated to providing the perfect experience for our customers. Our goal is to make sure you are completely satisfied from the moment you walk onto our lot. At our 139,000 square feet indoor dealership, we have over 1000 new Nissan vehicles to choose from, including popular models like the Nissan Maxima, Murano, Altima, and Rogue. You’ll also be able to search through $5 million worth of used vehicles from all types of automakers. That’s 3 football fields of vehicles, comfortable to browse in ANY weather, never rushed! Once you’ve taken the keys to your new car, our goal is to be there to help you out with any service and maintenance you need for the entire lifespan of your vehicle. Our service technicians can take care of any maintenance or repairs quickly while you relax in our comfortable lounge with free Wi-FI. We understand if you have to be on your way, though, which is why we have a fleet of complimentary loaner vehicles for you. To learn more about our dealership, contact us online or give us a call at 773-282-6200. When you’re ready, stop by our Chicago dealership to meet our team and take a test drive!